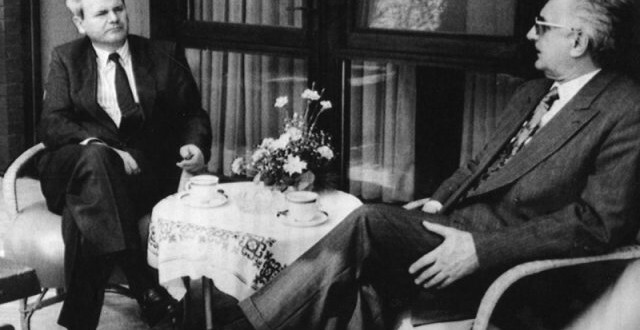 The meeting between Franjo Tuđman and Slobodan Milošević took place on the afternoon of 25 March 1991 in Karađorđevo near Bačka Palanka in the Serbian province of Vojvodina. Some news called the meeting “secret”. It was “secret” in the sense that there was no public announcement of the meeting in advance. After the meetings, the expert groups from Croatia and Serbia discussed solving the Yugoslav crisis. Testimonies of the meetings by group members do not fully agree; but they all agree that there were no results. President Franjo Tuđman wanted Croatia to disengage from Yugoslavia. Now the question is why both Franjo Tuđman and Slobodan Milošević do not fully agreed? I will expose both individual’s stars and fate and explaining in the stars by using the art and science of Astropsychology / Astroforensics does not lie. Born in May, Franjo Tuđman’s 3rd house of communication in Cancer. Cancer is the sign that rules everything to do with general security, home, family, food, real estate. He born in Pluto (power) in Cancer generation have powerful emotions, a strong need for security and home life in his 3rd house of mind/critical thinking. He want Croatia as home country only. And also He born with Aries Dragon’s TAIL. Aries rather to be independent. President Tudman wanted Croatia to disengage from Yugoslavia and become a sovereign country. Now investigate souls born in May. Venus rules the sign of Taurus, facing to the world as Scorpio. Scorpio rules power, secret, and passion. but Before Bosnian War started, Transiting (1984-1995) Pluto (passion/power) in Scorpio (secret) impact upon Tuđman’s 7th house of partnership / open enemies / facing the world like opponents is Milošević, Serbian and Yugoslav politician, others. Tuđman hits ‘secret / passion environment’ This is “rivals/riots” has started! Born in August, Slobodan Milošević’s 3rd house of communication in Libra. Libra rules balance and harmony, it is natural for him to act diplomatically in dealing with others. Libra is also representing the scale of justice. He want to be connect with one country as Yugoslavia because he turned his attention to Croatia, a Catholic country where Orthodox Serbs made up 12 percent of the population. And also He born with Pisces Dragon’s TAIL. Pisces rules religion. He was Orthodox Christian faith. He born in Sun (self) conjunct Pluto (power/death) in Leo (leadership), Milošević wanting to have power over others and being involved with the government – for better or worse. Indeed, The year of 1991 Pluto (power) in Scorpio (deadly) impacted upon 4th house of home area (Yugoslavia). He needs total secret/privacy at home where he can re-birth into the “Eagle (positive) or Lizard (negative)” of the zodiac. The sign of Scorpio rules ultimate power, the Mafia, and the police force. That’s why Yugoslav President Slobodan Milosevic had a ***secret*** meeting with Croatian President Franjo Tudjman about Yugoslavia. Thus, He driven by pride, power, and control, could solicit the lowest and deadly elements of society to destroy in Croatia and Kosovo. Indeed Pluto in Scorpio transit (1984-1995) is a deadly regenerative stimulation that become subconscious destructive and criminal drive as result of Yugoslavia broke up along its republics’ borders, at first into five countries, leading to the Yugoslav Wars. But In fact, on a face to face is act of giving control to another person, it will be TOTAL disaster and total disagreement will ensue. The breakup of Yugoslavia occurred as a result of a series of political upheavals and conflicts during the early 1990s during Universal Aquarius/Leo Dragon axis transit and it’s rules revolution / brotherhood and independent. Then Next shifting of Universal Capricorn/Cancer axis transit that impact upon the restructure of government, home, nationalism, the land, and agriculture. Radovan Karadzic, born June 19, 1945, born with Capricorn Dragon TAIL. He had no lucky to run government and abuse his power. Karadzic and the Bosnian Serb military commander, General Ratko Mladic, were among those indicted by the ICTY for genocide and other crimes against humanity. I see this exactly similar fate and find an interesting about Pluto in Capricorn related to this Mexico mayor assassinated a day after taking office in Temixco. Gisela Mota Ocampo (13 March 1982 – 2 January 2016) She is Pisces, that seem Neptunian Dragon is not favor her first political movement and also born with Dragon Tail (negative) in Capricorn (political) conjunct to currently deadly planet took her life! She should promote family, security, own restaurants, real estate instead this tragedy. Joan Quigley, Nancy Reagan’s White House Astrologer … explained what happened in white house between wife and husband at work. Read more and click the link. Master the Housing System and understand the twelve specific areas of the human experience. Using Astro-psychology to expose the stars and fate based on the remain question why She believed in Astrology. Note Princess Diana and Nancy Reagan born on the same month of July is controlled by the “lunatic” Moon and the emotional sign. Those born in July are strongly affected by the Moon’s fluctuations, and family matters will always play an important part of their lives. 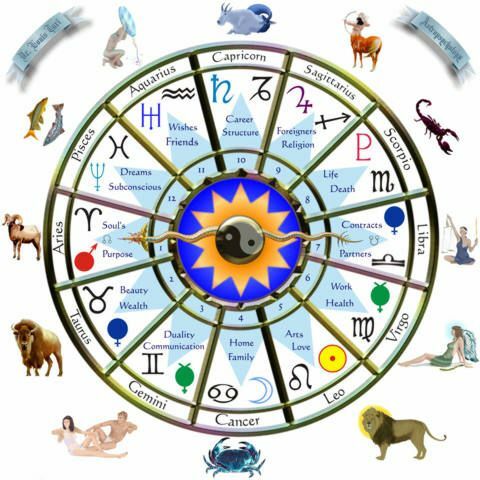 They are classified as the “caretakers” of astrology. So now let’s look at House Number 8 in the Section Housing System and read the key-words and get more information. Remember you can also refer to the Sun Sign Characteristics and fully understand all about this specific housing system. The Mysteries of 8th house is ruled by the sign Scorpio. In some ways Cancer will always be interested in the afterlife and affairs of the dead. In the area of life and death, legacy, metaphysics and corporate money. you are becomes an Aquarius in 8th house. Cancer, 1st house of first approach to serious situations – Nancy Reagan turned to astrology in White House to protect her husband. Cancer rules protective, security and strongly intuition. Aquarius rules UFO, Astrology, brotherhood, future, genius and humanitarian. Nancy Reagan’s interest in astrology caused many Christians to question her faith. That’s why she has hight intuition / high mind. Princess Diana was interested in metaphysics and astrology too. so now Let’s look at how a Cancer behaves or feels about love, romance and children of 5th house in the Section Housing System. In the love area, you are becomes a very intense Scorpio. Where ever Scorpio or resides in your chart death and drama can enter your life, Princess Diana died in the name of her children and a jealous lover. And also This extreme deadly cosmic cocktail was located in Nancy Reagan’s 5th house of love, romance and children which become the main reason her scared of husband’s death due to attempted assassination of United States President Ronald Reagan, Must understand; where ever Scorpio is located in your chart, death, drama, the police and secret will enter your life. Pluto rules Scorpio and this planet is extremely intense and climactic. Thus, those born in July might have to experience drama in the affairs of love, romance and children. Because Scorpio is the sign of life and death, your male or female friend born in July might have had a dramatic upbringing, lost a child, or suffered dramatic heartaches. On March 30, 1981, Universal Dragon Aquarius was shocking the world due to Reagan in wrong time and wrong place via attempted assassination of United States President Ronald Reagan was under his March negative window date or a very dangerous cosmic biorhythm but without cosmic consciousness he could not avoid his fate. The Dragon Tail (negative) in Aquarius impact upon Reagan in 1st house of first approach to assassination situations. He was born February in the constellation of Aquarius (shocking the world/sudden release) – attempted assassination that become a Scorpio in his 10th house of career. Scorpio rules death and drama in public life. And also this cosmically stimulated Nancy Reagan’s 8th house of attempted assassination / death, legacy, metaphysics, corporate money, death, drama, the police and secret science of astrology that when her first interest in mystical side via Astrology.